The 49 rooms are placed in the four historical buildings of the hotel complex which inspire the elegant, exclusive style of furniture. 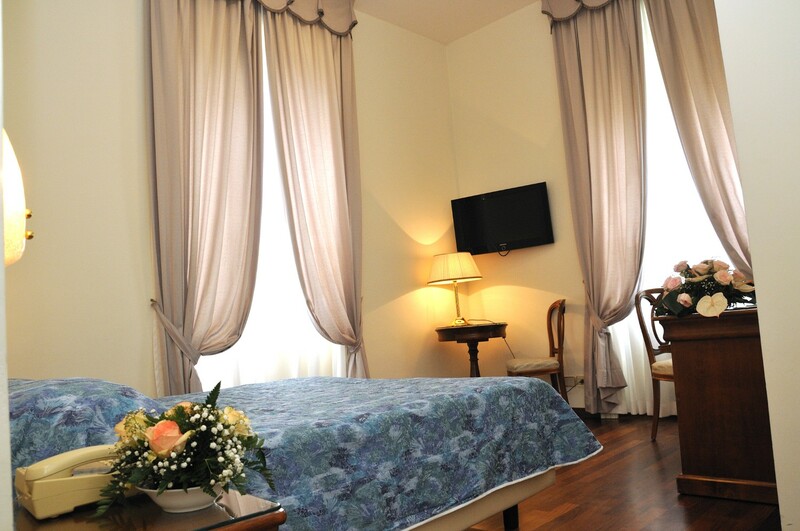 The rooms have early twentieth century style furniture and curtains and they are paved with parquet. 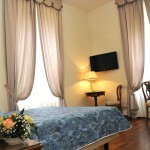 This is the right place if you want to feel in a warm, romantic atmosphere. 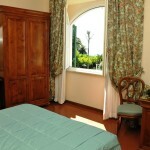 The rooms are situated on the first floor which overlooks the Mediterranean woodlands or the sea of the Gulf of Gaeta. They are easily reachable from a big lift situated next to the restaurant. 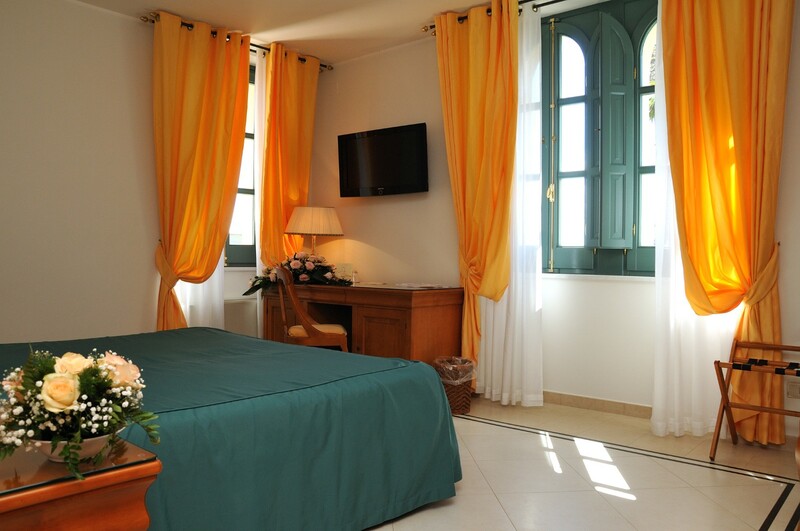 These comfortable, charming, large rooms are furnished in a Mediterranean style and paved with hand-decorated maiolica tiles. 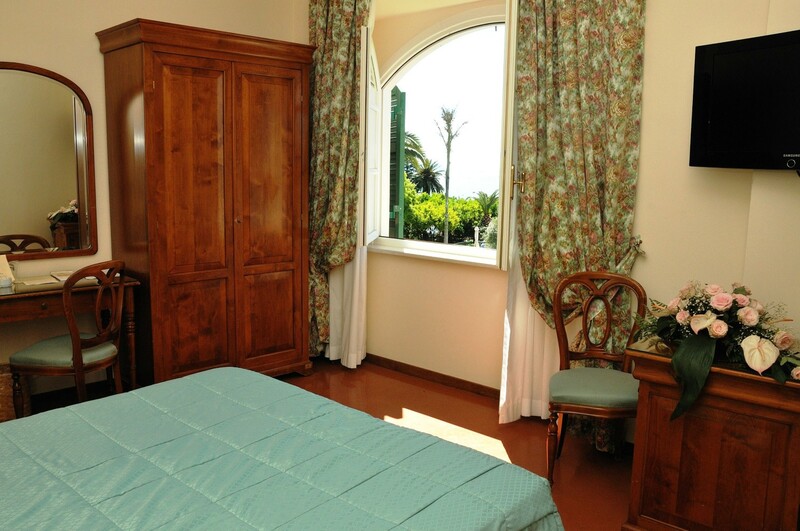 These rooms are featured with a delicate perfume coming from the citrus orchard and the Mediterranean vegetation. 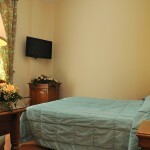 Some of them can become adjoining rooms and turn into comfortable apartments which can accomodate up to 4/5 people. 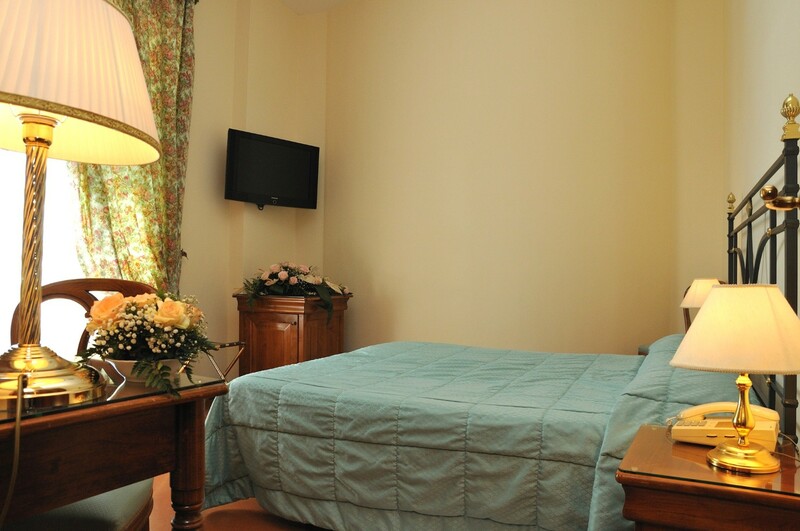 You will feel like in a late nineteenth century holiday cottage. Flat Screen LCD 32’’ TV with a variety of channels including SKY and Russian, German, English, Spanish, American, French, Dutch channels. Check-in Check-in after 1.00 p.m.
Check-out Check-out until 11.00 a.m.